The way of our speaking, the way how do we talk to others that reflects our personality, and according this we get respect or disrespect . People respect us if we talk smilingly, wisely or in a true and proper language. But if we talk to people, by falsehood, twisting and turning the talks in bitter language, then we are absolutely going to be humiliated, our personality could be counted in notorious figure. We see Crow and cuckoo are the same in appearance, but unless the two speak, it is difficult to know them separately. Similarly unless someone does not talk, his goodness or evil does not appear. So if you have to speak then speak sweet like cuckoo, do not bitter like crows. "A person went to an astrologer to know about his future. Astrologer saw his horoscope and said,"All your relatives and your family will die soon and you will see the death of your family and You will be alone in this world"that person got very upset, and became very angry with the astrologer. He insulted the astrologer and went away. 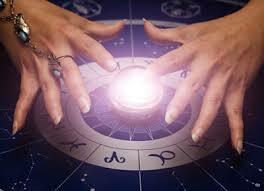 Now that person went to another astrologer The other astrologer saw his horoscope and said - "Your age is very long. You will live long enough. You will also see the happiness of your grandchildren.You will see their marriage also. "The person was very happy to hear this. He gave the astrologer enough fee and gladly returned from there. There was a woman in a village. she used to sell honey. Besides the honey her voice was also as sweet as honey. Her way of speaking, the way she talks was so good .So there was always a crowd of buyers at her shop. A man with narrow minded noticed that a woman is earning so much profit by selling honey, he also started selling honey near her shop. But the nature of that person was extremely intractable and hard. He used to talk to customers with bitter and shouting accent. He used to start to quarrel over something with customers. One day a customer asked to him is your honey is pure ?On this matter, the he burst out on the customer and said, "The person who himself is fake, he tells the goods of another to be fake and starts to quarrel with the customer, The client felt very bad and he returned from there without buying honey. The same customer then approached the woman and asked the same question. The woman smiled and said when she herself is real, why would she sell fake honey? The customer was happy with the response of the woman and he took the honey. In the first context, if you see, the thing was the same, just the way of talking of the two astrologers were different. One said the same thing in such a way that the person got angry, while the other said the same thing in a way that the person returned very happy. In the second context you can see that two people are doing the same kind of work, but the manner in which they speak is different from each other, so people dislike the person who speaks bitterly and the sweet and smiling language is liked by all . Many of these types of events we found in our home, with our relatives, and around us daily.Sometimes we make others laughing stuck without thinking, and we say such things to someone that hurts or create grieves. Like we make joke of our friends repeatedly anywhere or in front of anyone.by saying "You are a big idiot, you are crazy, or we tease someone when they makes a mistake or if their work fails, we make fun of their failure repeatedly without thinking . In the same way, sometimes we give unnecessary scolding to our children,we often behave very badly with them, or if the children got fail in some exam, or if any work has been done by them , then we scold them very badly,or taunt them repeatedly or try to humiliate them by comparing them with another child, or we stop talking to them. But we don’t think that the effect of this can be so harmful, children can start hating us it can also effect their studies. Similarly, while talking to our elders in the house, sometimes we talk in a loud or aggressive language that makes them feel very sad. A husband or wife repeatedly repeats one another's old mistakes, taunts or says something that seems very bad. So friends there is only way to live in people's heart and mind is to keep care when you speak .. our language is the most strongest way to reach our destiny . No Comment to " Speak I Want To See You ! "